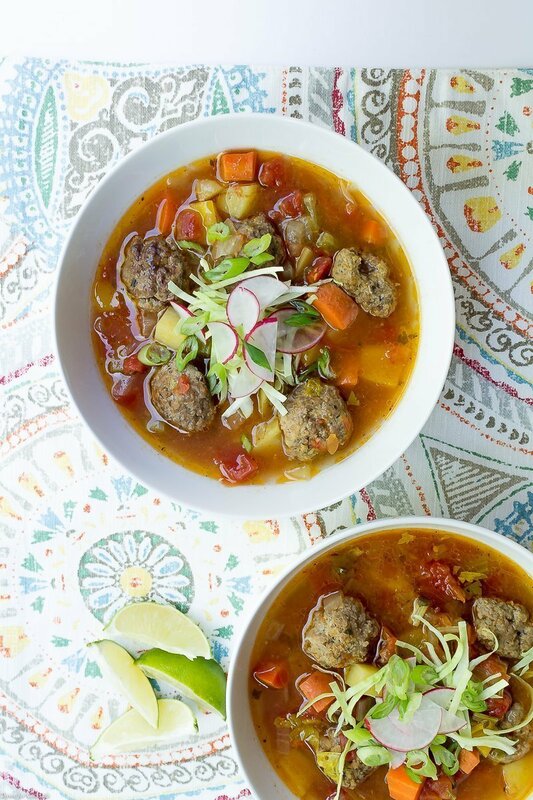 Albóndigas Soup has tender beef meatballs, carrots, celery, bell pepper, tomatoes and potatoes swimming in a slightly spicy, flavorful broth. Hearty and filling without being heavy, it’s the perfect comfort food! Delicious meals don’t need to be complicated or take forever to make. Our schedules have been nuts lately so a lot of dinners have been sandwiches, salads and skillet meals. But we really needed something heartier with the guys working so hard. Repairing drywall is a lot different from sitting at a desk and keeping up with Paul’s appetite lately feels like a full-time job! 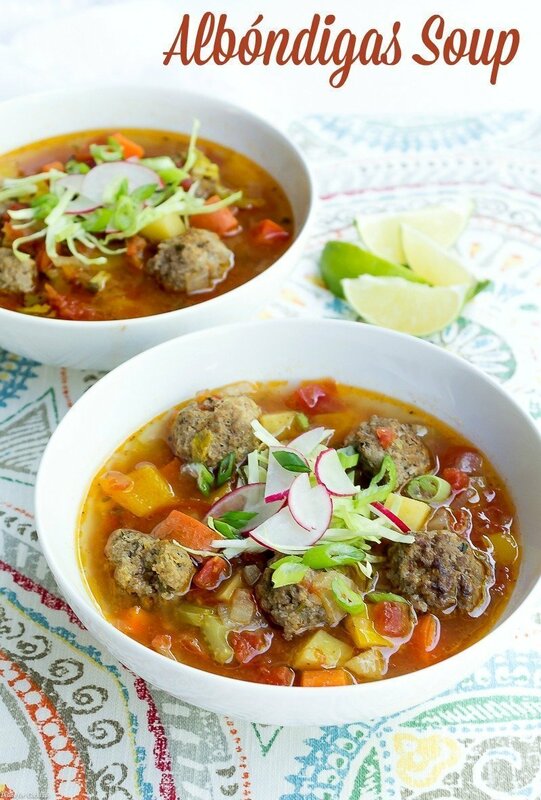 Luckily at the end of long day nothing satisfies like a bowl of my Albóndigas Soup. 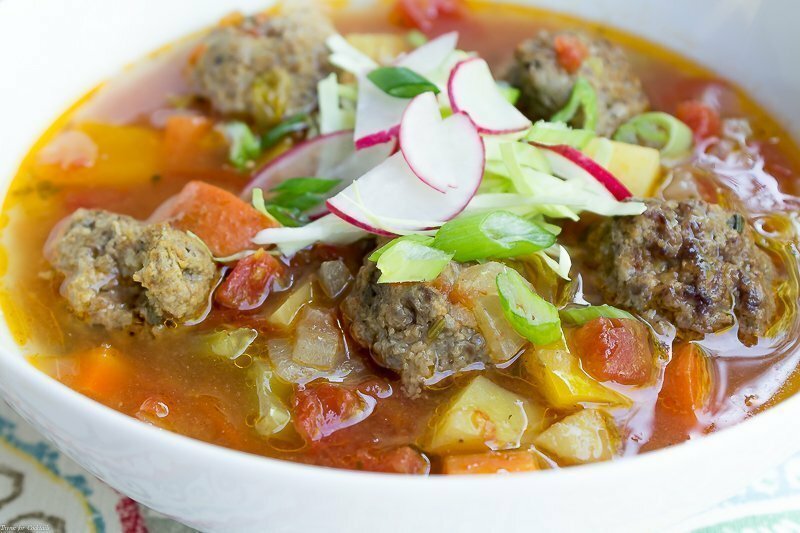 Growing up my mom would make meatball soup with an Italian spin that we loved. Since being with Paul I discovered the Mexican version and it is a family favorite. 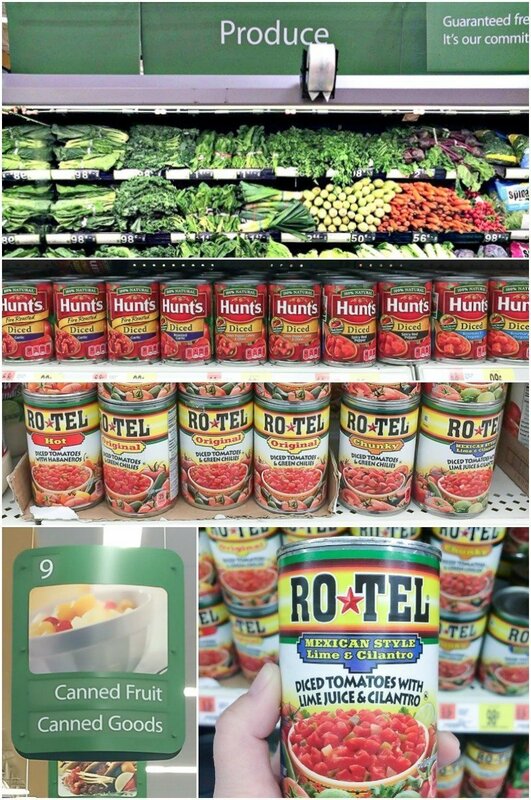 It’s so easy to make with a few pantry staples likes RO*TEL Mexican and Hunt’s Diced Tomatoes with Spicy Red Pepper plus lots of fresh vegetables like carrots, celery, bell peppers and potatoes. And don’t forget my favorite kitchen hack, the perfect homemade meatball! I love that you can buy canned goods, like Hunt’s Diced Tomatoes, with so much flavor packed into them. When I am at Walmart stocking up on pantry staples I kinda feel like a kid in a candy store when it comes to the canned good aisle. There are so many flavorful options to really amp up recipes like these Mexican Braised Brisket Tostadas I made this winter. RO*TEL Mexican Style with lime juice and cilantro is my go-to for great tasting Mexican-inspired recipes. I support my local farmers market whenever possible but lately they have been closed because of conflicting events and holidays. 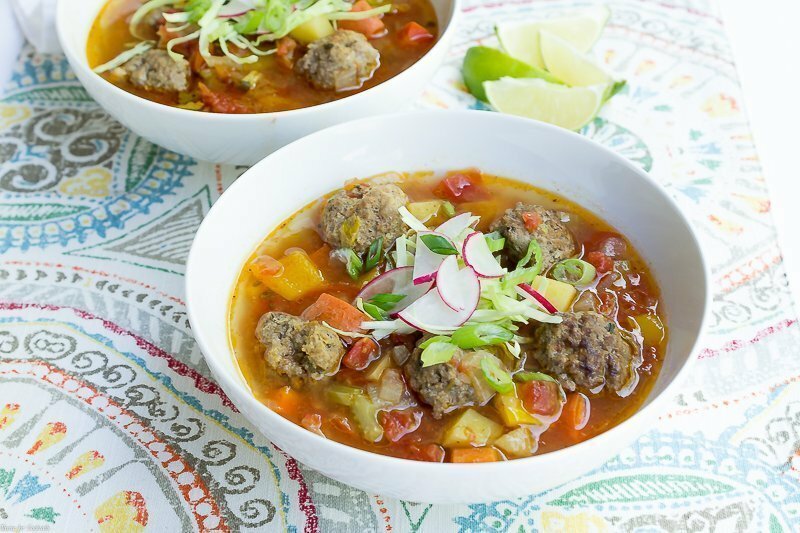 When I need fresh vegetables for recipes like this Albóndigas Soup a quick trip through the Walmart produce area gets the job done. Just look at all that flavorful freshness! I almost feel guilty because I didn’t have to add extra seasoning to the soup besides salt and pepper. The meatballs really pack a punch and my canned goods add the rest of the flavor! Speaking of meatballs… Have you ever wondered how to make the perfect, bite-sized meatball? Love meatballs but don’t want the hassle of making them on a busy weeknight? Well then, check this out! Meatballs are amazing little bites of heaven, but who has time to make them from scratch every time. When I make meatballs I make wayyyy more than I need. It takes about 30-45 minutes to prepare several batches at once, then freeze them for future use. To get the size just right, and keep the meatballs evenly sized, I like to use this small ice cream scoop. It holds 1 tablespoon which makes a meatball that isn’t too big. If you don’t have a small scoop, use a 1 tablespoon measuring spoon instead. Once you scoop the meat mixture, gently roll between your hands to smooth them out, then place on a parchment lined baking sheet. At this point you have 2 options. Pop the baking sheet into the freezer for about 30 minutes to set the meatballs, then bag them into portion sizes and store in the freezer for up to 3 months. Freezing then on the baking sheet first keeps them from mushing into a weird meat mass once you bag them up. The other option is to cook them first, then bag and freeze the meatballs. If you go this route, let them rest on a plate to cool before freezing. I typically make some of each. Because certain recipes need to fully cooked meatballs, others you want them to cook in the dish. My Meatball Quesadillas are a quick snack when you have cooked meatballs in the freezer! Add all ingredients to a large bowl. Mix throughly with hands. Use a small ice cream scoop to portion mixture. Gently roll meatballs between hands to smooth. Place meatballs on a large baking sheet. Use immediately or freeze for 30+ minutes. Divide into portions and place in freezer safe bags. Store in freezer up to 3 months. For this Albóndigas Soup I used uncooked meatballs so I could sauté the vegetables in the drippings from browning the meatballs. Don’t use beef that is too lean otherwise you lose out on a lot of deliciousness. 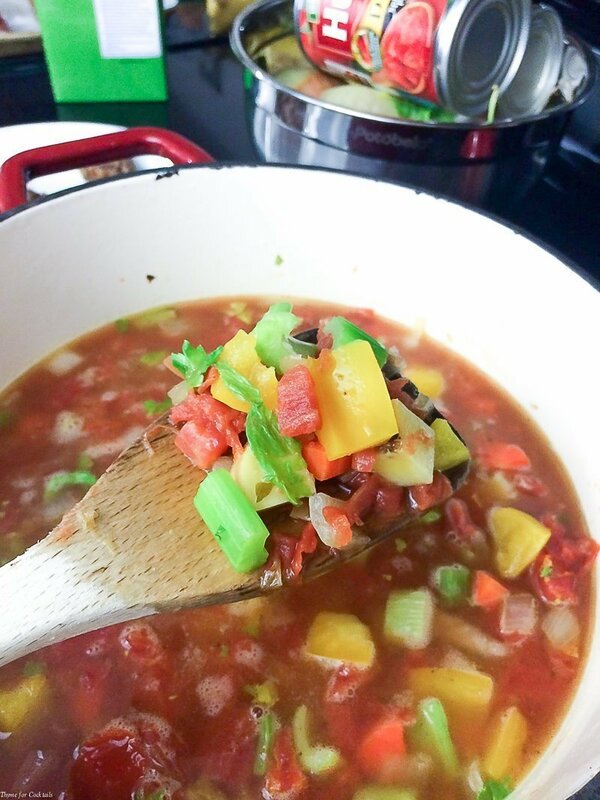 Paul will tell you this soup should have a little of fat into, that’s what makes it such great comfort food! Or if you want to completely jump outside the box, use turkey or chicken meatballs. You will just need to a little extra virgin olive oil when cooking your vegetables. We like fresh toppings like shredded cabbage, radishes and a squeeze of lime juice. You could even add a dollop of sour cream or mix in a little cheddar cheese. That’s more Paul than me though! What cool weather comfort food will you make with Hunt’s and RO*TEL? Visit the YesYouCAN site and share your favorite ideas in the comments! 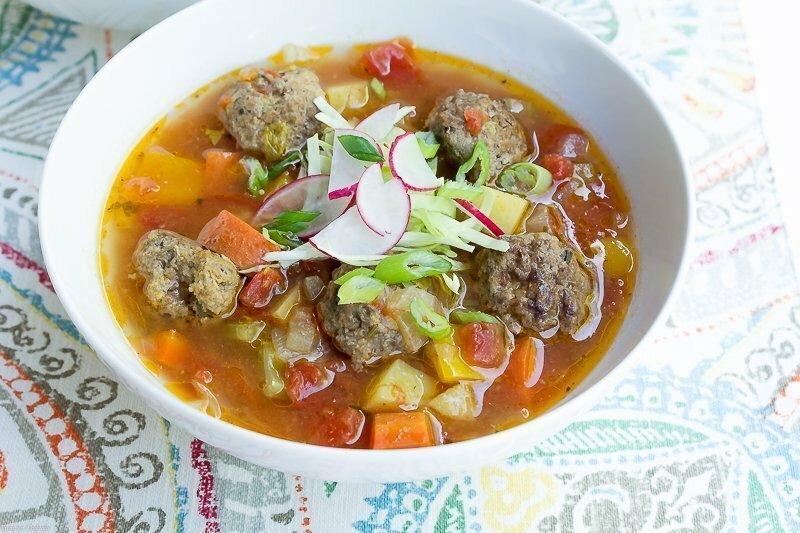 Albóndigas Soup has tender beef meatballs, carrots, celery, bell pepper and potatoes swimming in a slightly spicy, flavorful broth. Hearty and filling without being heavy, it’s the perfect comfort food! Add oil and brown meatballs, 4-5 minutes. Remove meatballs and set aside on a plate. Add vegetables and sauté 4-5 minutes. Stir in diced tomatoes, RO*TEL and chicken broth. 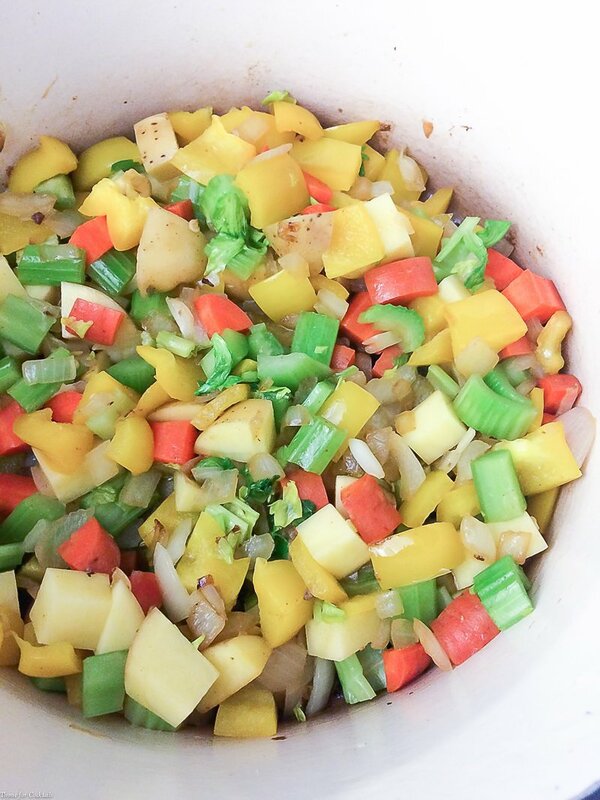 Bring to a low boil, reduce to medium low and simmer 15 minutes. Add meatballs back to pot, cook 5-10 minutes until cooked through. Thanks Amber! We love it & you can really customize with different veggies and meatballs! day if I can.Your recipe is so easy to make. Gail – thank you for the kind words! Soup is a favorite of mine too.